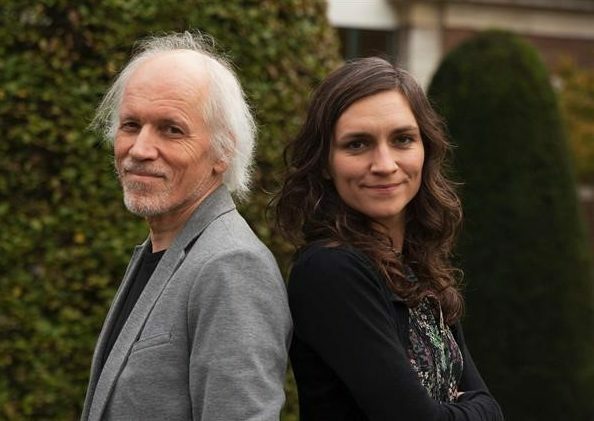 Jan Vermeulen and Veerle Peeters, a four-hand partnership Jan Vermeulen’s series of twelve CDs of the complete works of Schubert for piano solo was greeted with praise by the Belgian and the international music press. He was named Musician of the Year in Flanders on the occasion of the completion of the cycle in 2010 and also carried off one of the coveted Klara awards; several international music magazines described him at the time as an ideal interpreter of Schubert’s music. It was only to be expected that a recording of Schubert’s works for piano duet would soon follow. The search for a suitable duet partner did not cause Vermeulen too many headaches: Veerle Peeters has known Jan Vermeulen for some fifteen years, first as a star pupil of his at the Lemmens Institute in Leuven, then as a partner for recitals of music for piano duet, and then as artistic director for all of his Schubert recordings up until the present day. Veerle Peeters made her name as the founder of the Frescamente ensemble, which swiftly won prizes in the Almere International Chamber Music Competition in the Netherlands and in the Belgian Gouden Vleugels. She confirmed her reputation with an internationally praised CD of the piano works of the early 20th century French woman composer Mel Bonis. The piano duet is one of the most sensitive and exposed forms of chamber music, as it demands an ideal unity of touch, timing, emotion and interpretation. Vermeulen and Peeters have explored and developed their approach to Schubert over their many years of recording his works. Their love for Schubert’s sublime music has only increased with the passage of time; their ideas for the interpretation of his music have naturally and inevitably grown together and deepened over the same period.